If the idea of going to the dentist makes you anxious, you may be happy to know that reaching for the drill no longer has to be part of your care. 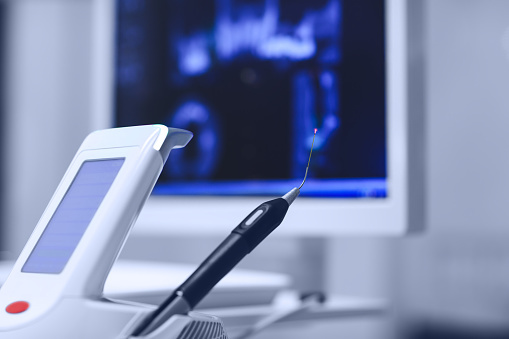 Laser dentistry lets your dentist perform a number of different treatments that used to involve the dreaded drill with much less discomfort and greater precision than ever before. Laser dentistry replaces drilling with laser energy. Using the laser, your dentist can do fillings, treat gum tissue, remove oral growth, and etch tooth surfaces without cutting or drilling. As a result, treatments are faster, more comfortable, and cause less bleeding. Many laser dentistry procedures can be done without anesthesia, and those that require anesthesia need much less than they would with other treatment methods. Don’t let fear of the dentist keep you from getting the care you need. At Glenwood Premier Dental, we offer judgment-free dental care designed with your comfort in mind and use the latest technology to make seeing the dentist easy and stress-free. To learn more about laser dentistry in Hazlet, call (732) 264-4477. When you visit your dentist for an exam and teeth cleaning, you aren’t just taking care of your oral health. The health of your mouth has implications for your systemic health as well, especially the health of your heart. Watch this video to learn about the impact of oral health on your heart health. Bacteria in gum tissue can cause inflammation in your blood vessels that is dangerous for your heart. Regular teeth cleanings are likely to be part of your care plan if you have heart disease, and they are an important part of preventing heart disease if your heart is currently healthy. At Glenwood Premier Dental, we provide comprehensive dental care for everything from gum disease to oral cancer. Make an appointment with our dentist in Hazlet by calling (732) 264-4477. If you’re experiencing tooth pain, it’s always a good idea to call your dentist as soon as possible to determine the cause and get the treatment you need. Not all tooth pain is created equal, and the different symptoms you are having will help your dentist decide what kinds of treatments will be most effective in bringing your relief. Here is a look at some different types of tooth pain and what they may mean. If you experience a sudden and sharp pain when you bite into food, there is a chance that you have decay in one of your teeth. A loose filling or a crack in your tooth can also cause these symptoms. If you have decay, you may need a filling or a root canal. If you have a loose filling, it will need to be replaced. There are several treatments your dentist may consider if you have a crack in your tooth, including bonding treatments and veneers. Tooth sensitivity can cause a shock of pain when hot or cold foods come into contact with your teeth. If the discomfort only lasts for a second or two, then you may be in the early stages of gum disease or have minor tooth decay. Often, switching to a soft-bristled toothbrush and being vigilant about brushing or flossing will reverse this issue. For sensitivity that is more persistent, your dentist will determine if you have a physical trauma to your teeth that is causing the pain or if you have deep decay. If decay is the issue, you may need a root canal. If you have constant, severe throbbing pain, then you could have a tooth abscess. 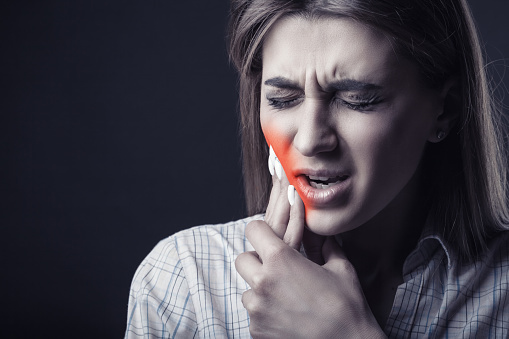 Tooth abscesses are painful and can be extremely dangerous if they rupture. If this happens to you, you may need emergency dental care. At Glenwood Premier Dental, we can help you with all types of tooth pain, whether you need a root canal or emergency dentist treatment. To schedule an appointment with a dentist in Hazlet, call (732) 264-4477. If your teeth aren’t as straight or evenly spaced as you would like, braces aren’t your only option. Invisalign will give you the same results as braces without the need for brackets and wires. 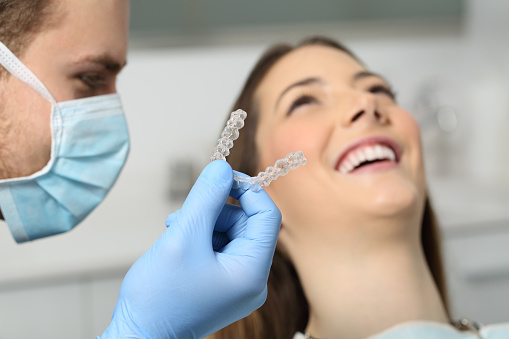 If your dentist has told you that you’re a good candidate for Invisalign and you’re trying to decide if you want to go forward with treatment, here are some of the reasons you may want to pick this unobtrusive solution for orthodontic issues. Invisalign aligners are virtually invisible. For some people, the idea of wearing metal brackets and wires keeps them from getting the orthodontic care that they need. With Invisalign, you don’t have to wear braces to get straighter teeth and to feel better about your smile. Invisalign coaxes your teeth into more desirable positions using clear aligners that snap over your teeth. They are virtually invisible, so no one has to know that you are getting orthodontic care but you. These aesthetic advantages are especially important to adults who are concerned about the impact that braces could have on their careers. With Invisalign, you don’t need a special diet or oral care routine. Invisalign aligners snap in and out of your mouth with ease. Whenever you eat or brush your teeth, simply remove the aligners and proceed as normal. This advantage is significant when compared to braces, which require you to avoid hard and chewy foods and that force you to adopt a new way of brushing and flossing. The ability to take your aligners out is also helpful if you play sports or a musical instrument. Invisalign delivers faster results than braces. Although every treatment plan is different, Invisalign usually provides results faster than braces. In many cases, choosing Invisalign can significantly reduce treatment times. Your dentist can help you understand what your treatment plan will be and how long you will need to wear your aligners to get the results you want. Find out if you are a good candidate for Invisalign by making an appointment at Glenwood Premier Dental. Our dentist in Hazlet can help you decide on the right combination of cosmetic dentistry treatments to help you feel confident in your smile. Make an appointment today by calling (732) 264-4477.